Hello my lovelies! Welcome to the first Monday Blues of February! I don't know about you but January always gets me a bit down. I'm so glad it's over! I'm starting this month right with a post on the blog. By the way, I started a new blog about books. I know it's shameless advertising, but if you are interested in what I read you can check it out here. And if you are interested in what I wear on my nails, you have come to the right place. 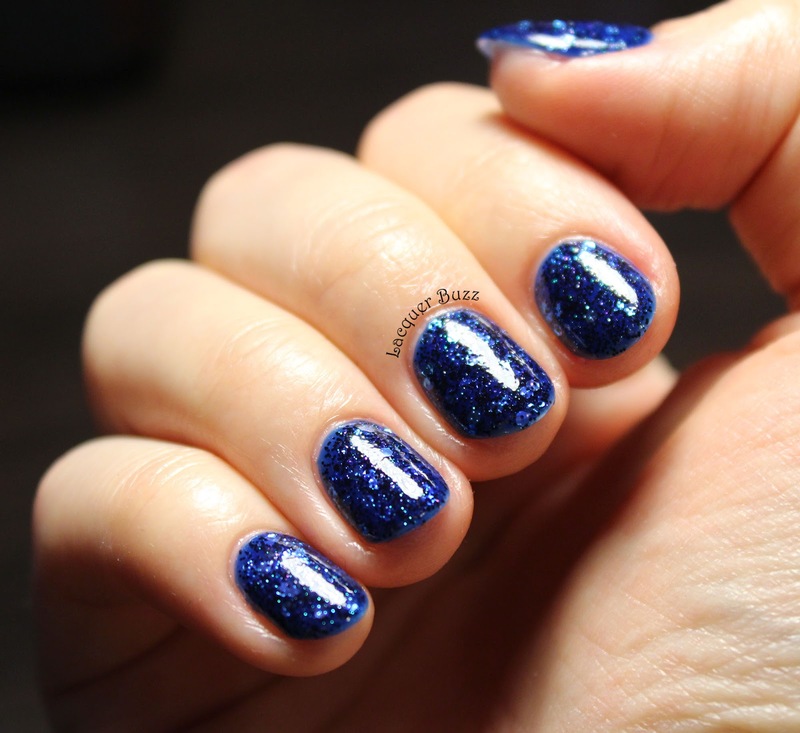 Today I want to show you a polish from a brand that is new to me and pretty new on the market. 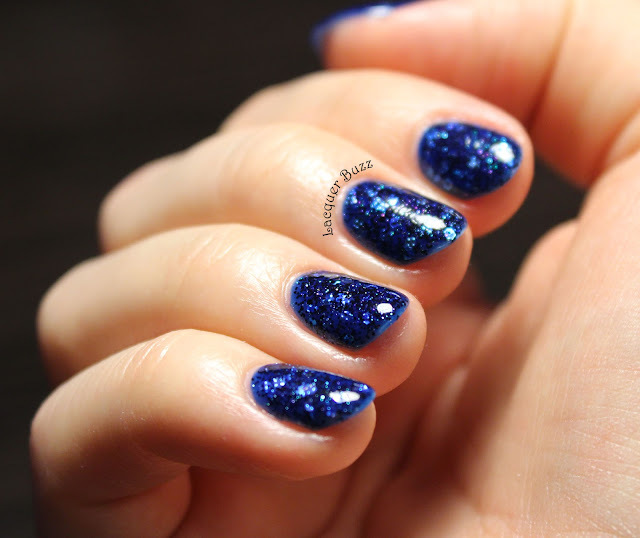 I haven't done a swatch post in ages and I must say I missed reviewing polish for you. So let's go! If you are wondering why my pictures look a little different than usual, it's because I took them all in direct light and at different angles to capture the dimension of this polish. 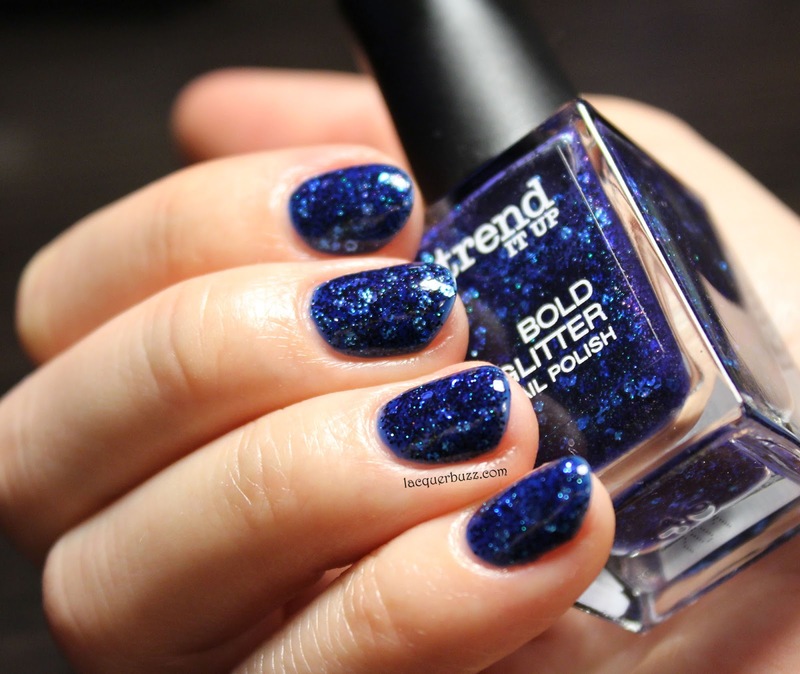 Trend It Up is a brand available in DM drugstores in Europe. It showed up in my town a few months ago and I had to take a look at the display to see if they had something interesting. I was quite impressed by these multidimensional glitters from the Bold Glitter line and of course I had to pick up the blue one. Unfortunately it doesn't have a name, only the number 030. The polish consists of a blue jelly base with different sizes of blue glitter. 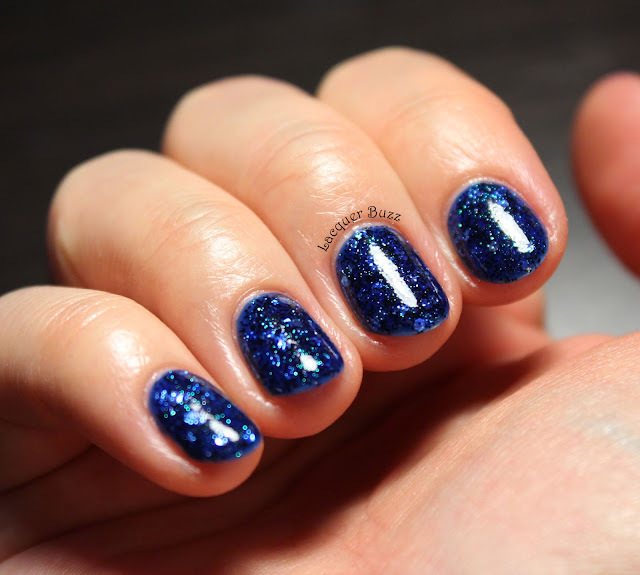 The larger hex glitter is a lighter shade of blue, while the small glitter shines green and purple depending on the angle the light hits it. That's what I tried to capture in the picture above and in the ones below. I think I did a pretty good job of capturing the green and you can catch a glimpse of the purple too. This polish is quite sheer so I wouldn't recommend using it on its own. I used a base and in order to preserve the squishy jelly effect I applied two coats of China Glaze Ride the Waves. The glitter is quite dense so you can only use one coat if you are a little careful. If you want to make it even denser you can use a sponge to apply it. Just make sure that the base underneath is fully dry. I was quite impressed by this polish. I didn't expect such a complex glitter from such an affordable drugstore brand. I will surely be keeping my eye on their display to see what they come up with in the future. Don't forget to check out the rest of today's Monday Blues in the links below.